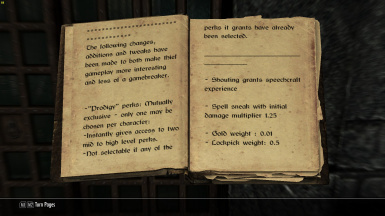 Annoyed that you don't know exactly what the perks do in T3nd0's Perkus Maximus? Don't want to alt-tab every time to look up the documentation and potentially crash your game (and OH NO! you didn't save/autosave didn't kick in before the crash!)? Then I've got the perfect mod for you! If you wish to make your own edits to the documentation and make it publicly available, send the new file to me along with your change-log. After I have verified the changes, I will tag you for credit on my page in the download description and the change-log. You may translate this mod and re-upload the translation freely. >"Adhesive Explosives" -> "Adhesives Explosives"
>"Debilitating Bash> -> Rank 2 is called "Deadly Bash"
>"Last Stand" -> "Mastery: Last Stand"
>"Elemental Fury" -> "Elemental Wrath"
>"Great Bone Mastery" -> "Lord of Bones"
>"Lore: Mountainous Monsters" -> "Lore: Great Monsters"
I have plans for future mods for Skyrim and Fallout 4! Thank you to everyone for your support as well as your patience and understanding! 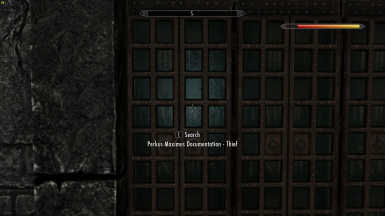 Immersive Perkus Maximus Documentation seeks to eliminate the need to leave your game to read T3nd0's documentation. Though T3nd0 is not exactly at fault for why he can't put every perk's abilities into its description, I felt I'd give him a helping hand of sorts. 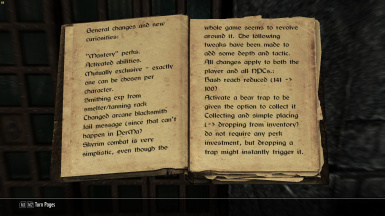 This mod adds in-game books which contain the documentation T3nd0 provides in his download page. ALL CREDIT FOR THE DOCUMENTATION ITSELF GOES TO T3nd0! 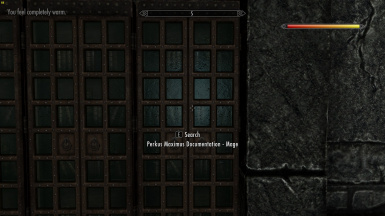 I HAVE NOT USED ANY ACTUAL IN-GAME ASSETS FROM PERKUS MAXIMUS TO MAKE THIS MOD! I have simply cleaned up the documentation so it's easier to read and understand. 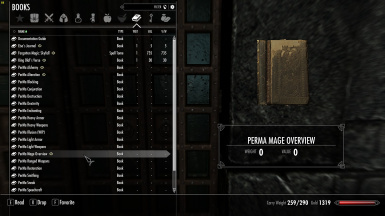 There are bookcases in areas that players are most likely to pass through which contain certain sets of documentation that will fit your needs most. 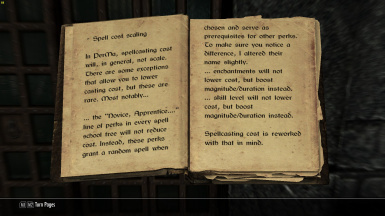 There is a bookcase dedicated to each of the 3 main sections of skill sets. These books have no weight! Huzzah! *NOT the Ragged Flagon, the actual HQ. I hadn't been in the Thieve's Guild for a while so I forgot that the Ragged Flagon wasn't actually the guild headquarters. Figured I'd add this just in case someone didn't know/forgot like I did. -Please check the "Bugs" tab for known issues and for new issue reporting! *Skill names created by T3nd0 are excluded since changing them in the skill tree would require me changing/using assets from T3nd0's mod and therefore break the rules of my current permission state. 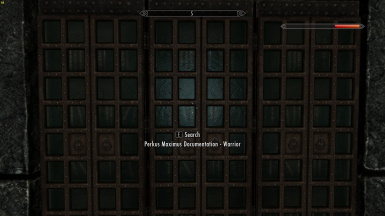 If you wish to submit those error for changes, please submit them to the Perkus Maximus mod page.